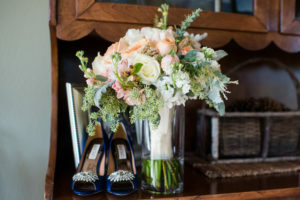 The Holidays are in full swing at Artistic Flowers! Take a look at just a few custom flower arrangements perfect for holiday parties, gifts or pick one up for yourself to add some festivities to your home! 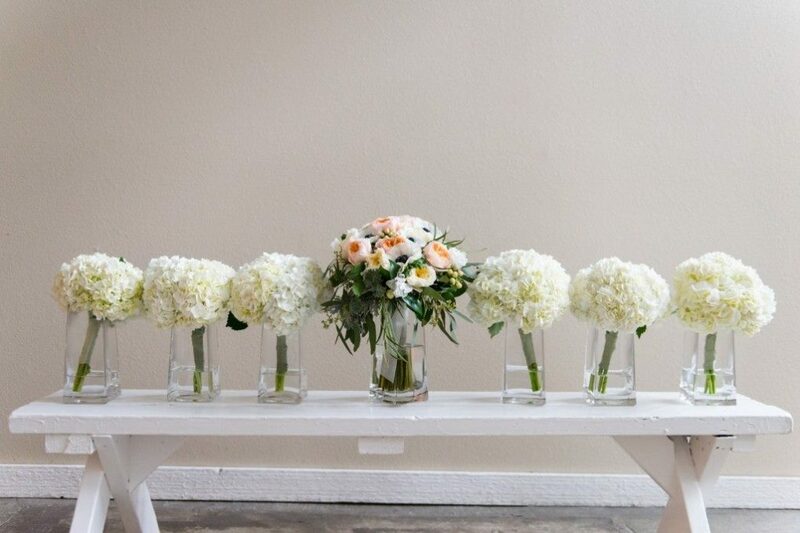 Give us a call or visit our Holiday Floral Arrangement section to order your favorite today!! 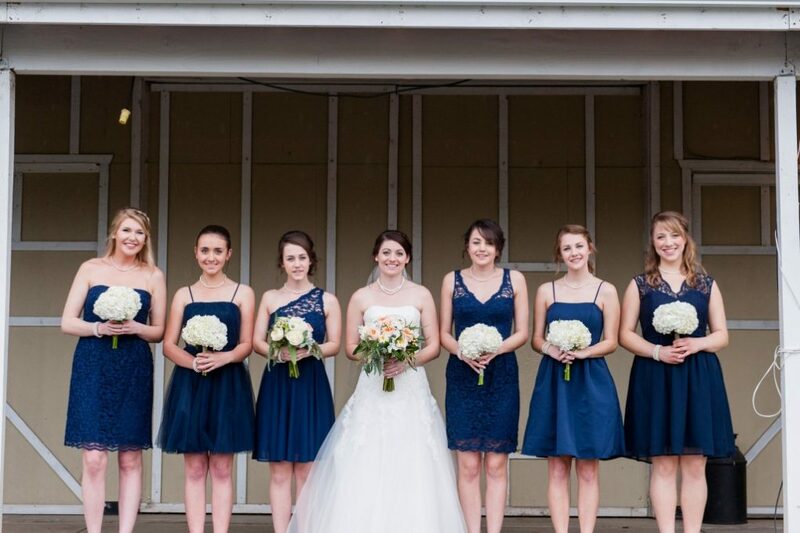 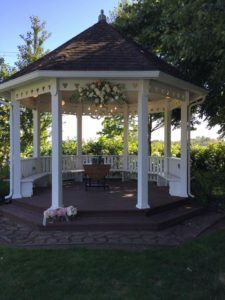 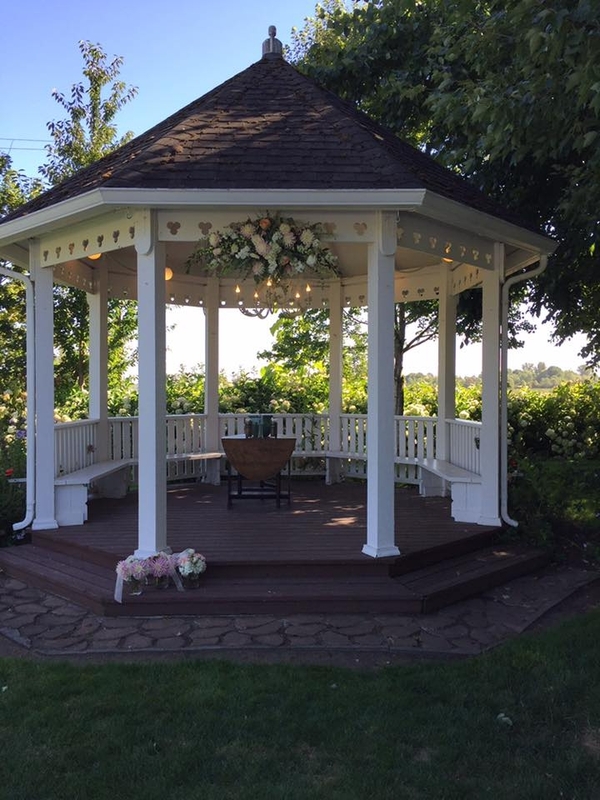 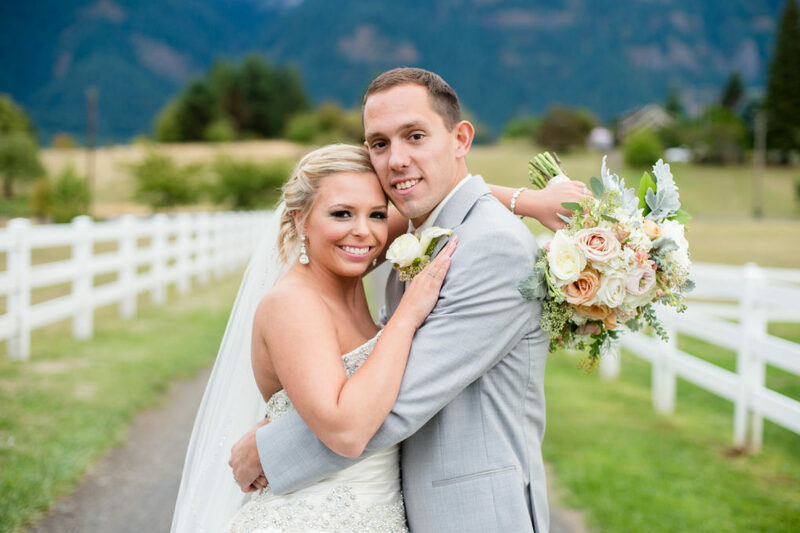 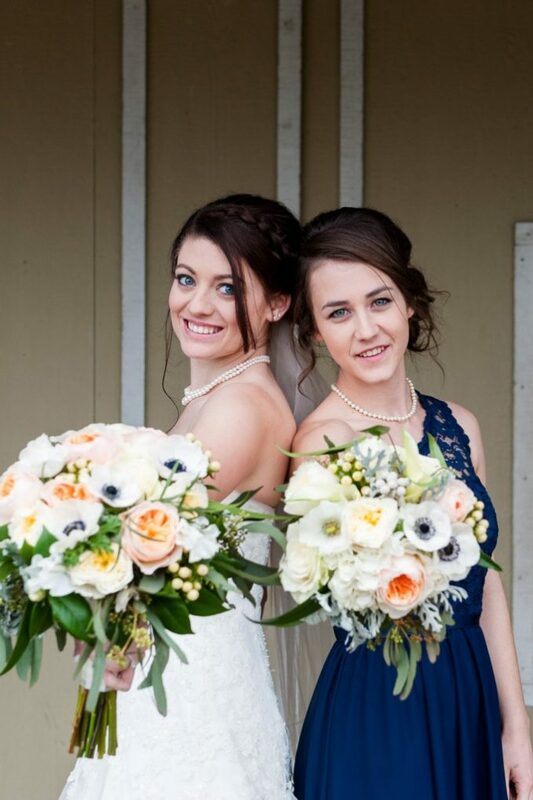 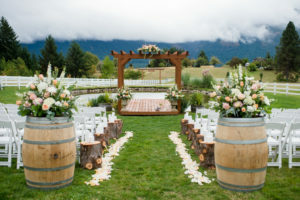 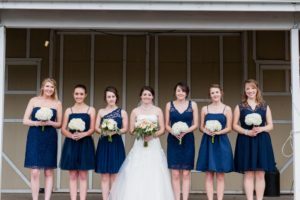 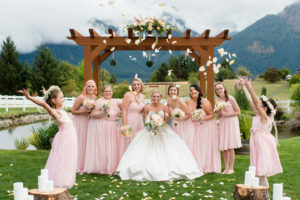 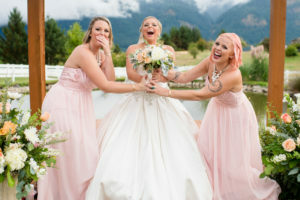 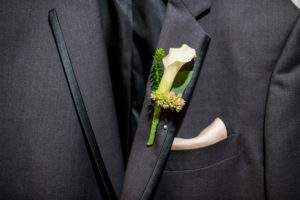 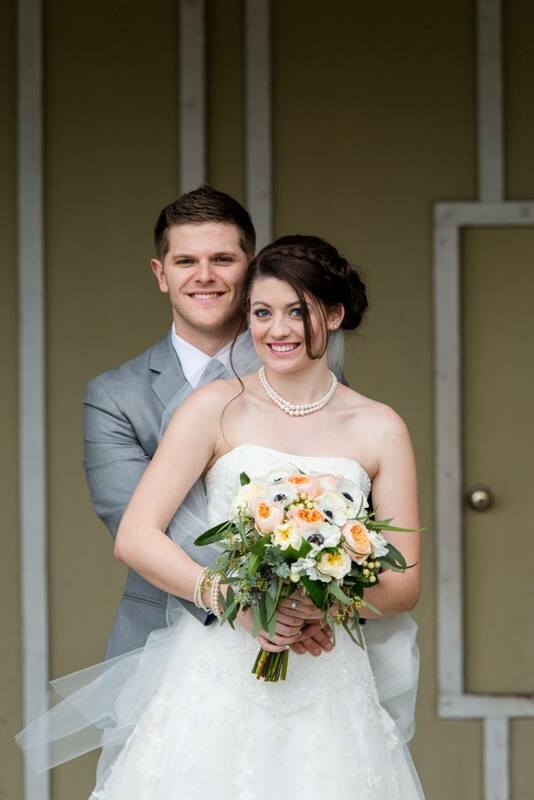 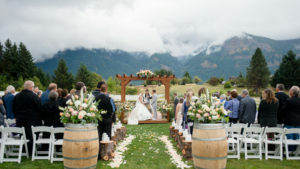 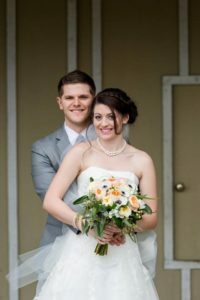 On a beautiful day at the Greenvilla Barn, Lea and Mikey said “I do” surrounded by family and friends! 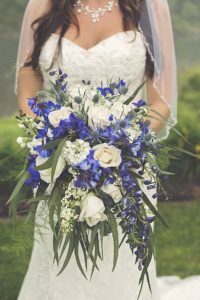 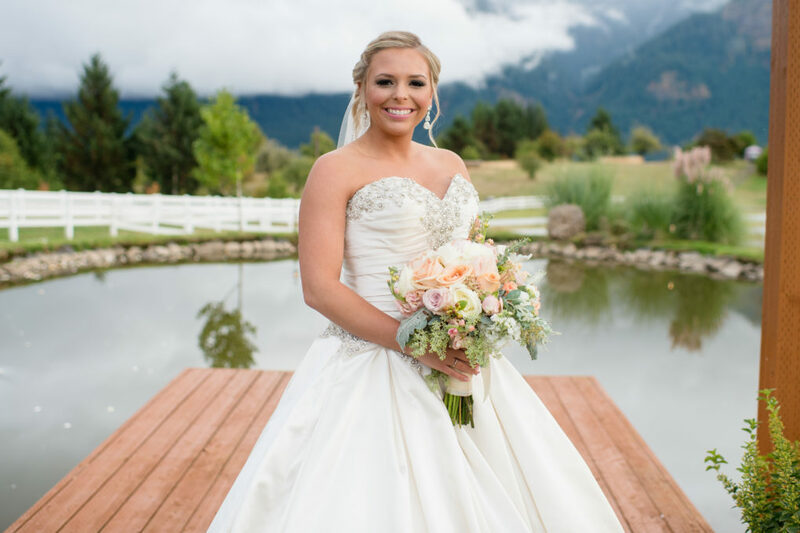 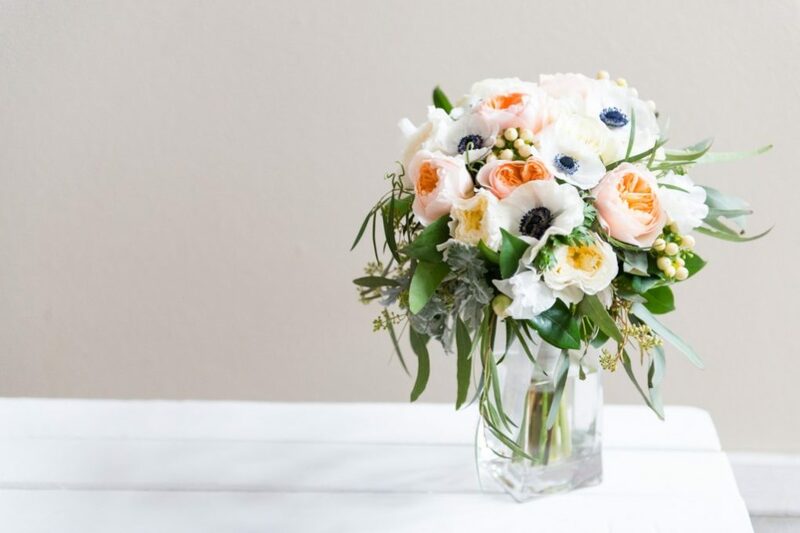 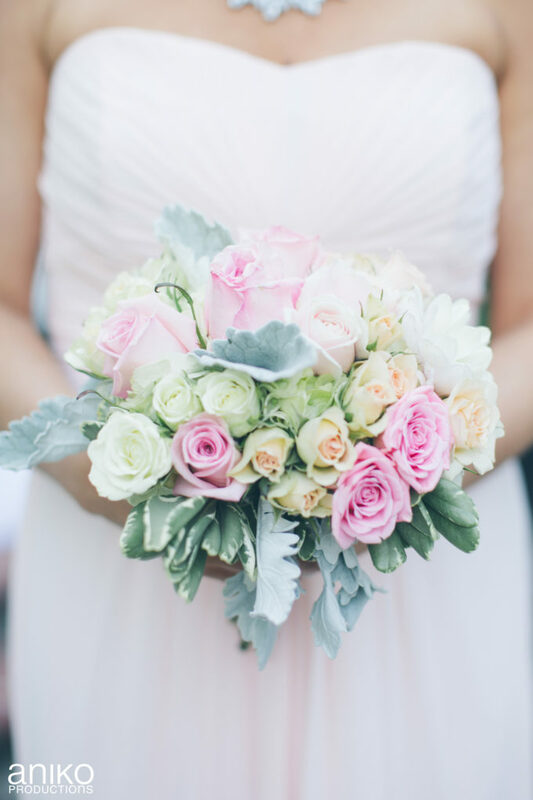 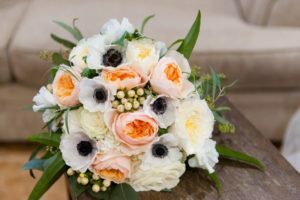 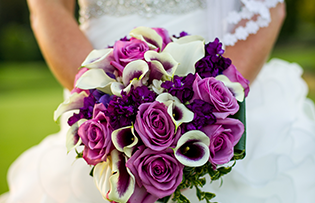 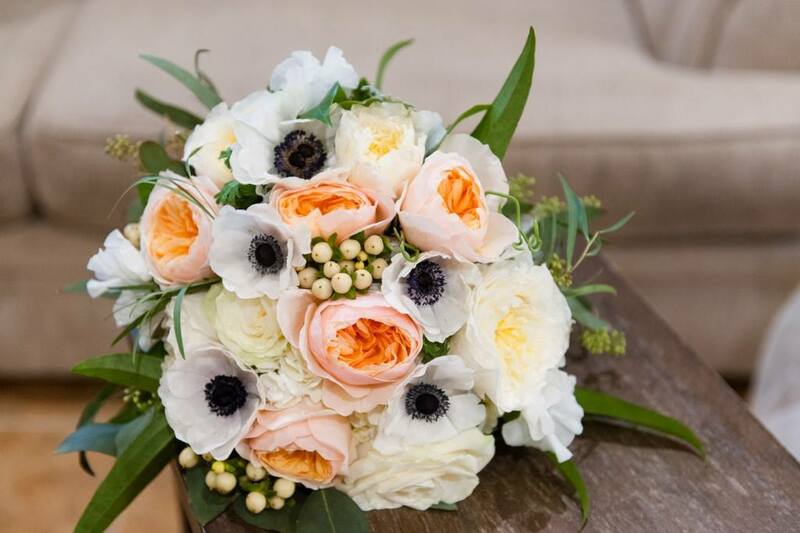 Her beautiful bouquet is full of texture and elegant blooms. 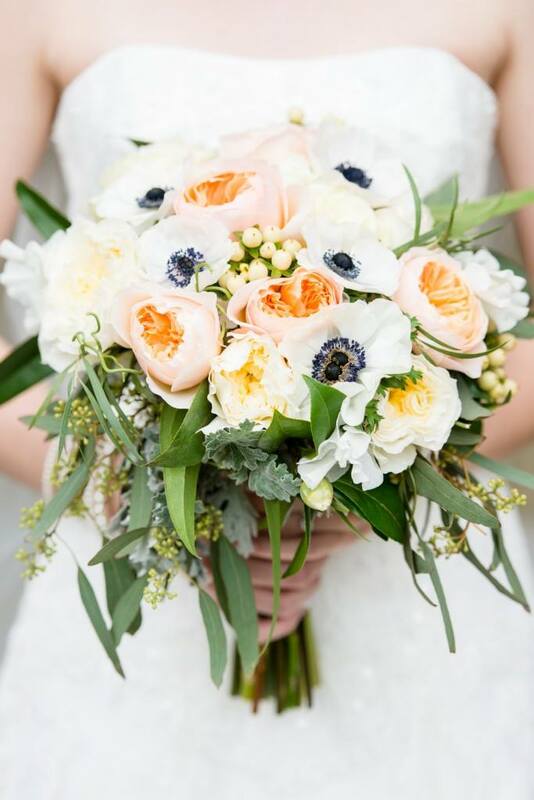 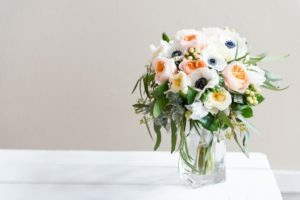 We used a romantic combination of cream roses, blush garden roses and navy anemone arranged with cream berries, dusty miller and seeded eucalyptus to create depth and texture. 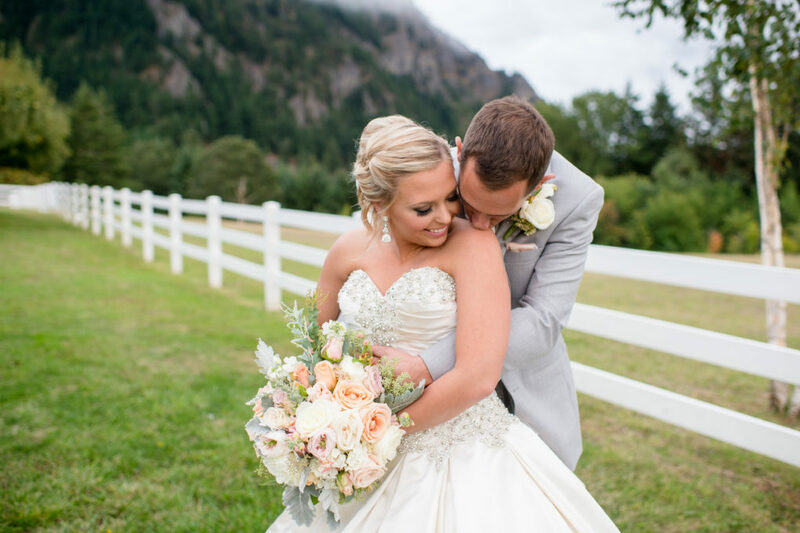 Lea and Mikey were so sweet to work with and we wish them a lifetime of happiness! 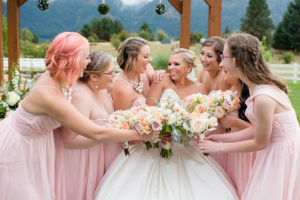 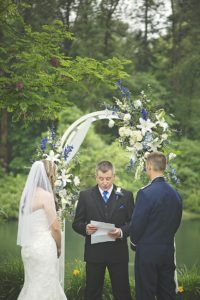 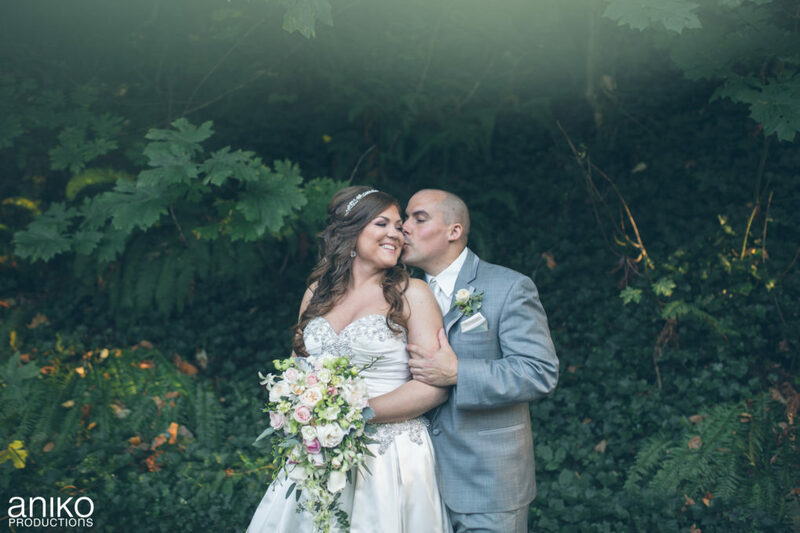 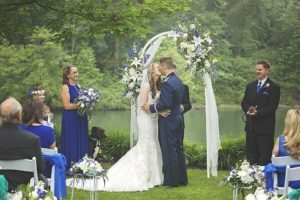 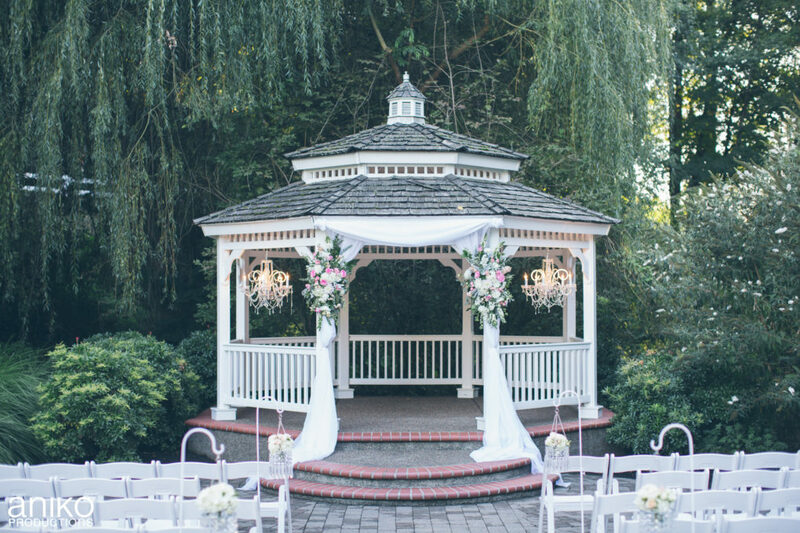 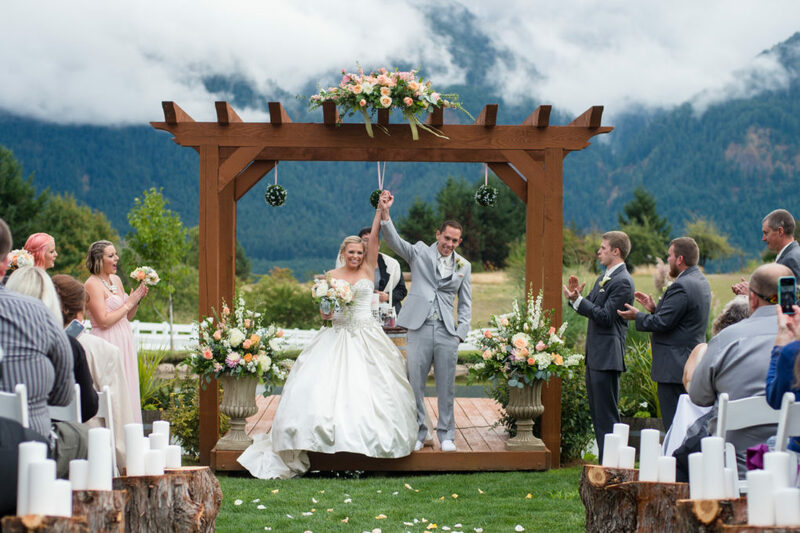 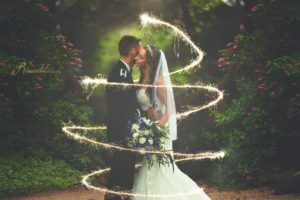 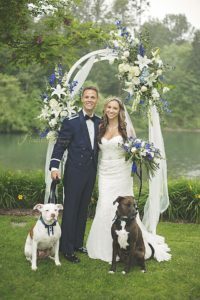 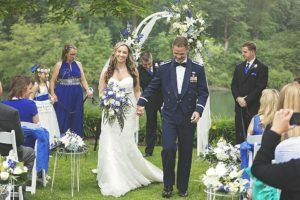 Surrounded by chandeliers and bling, Jeanne and Rob had a truly fairytale inspired wedding at the Abernethy Center in Oregon City, OR. 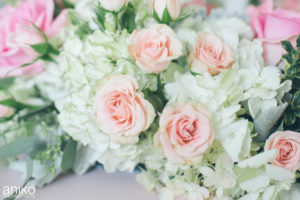 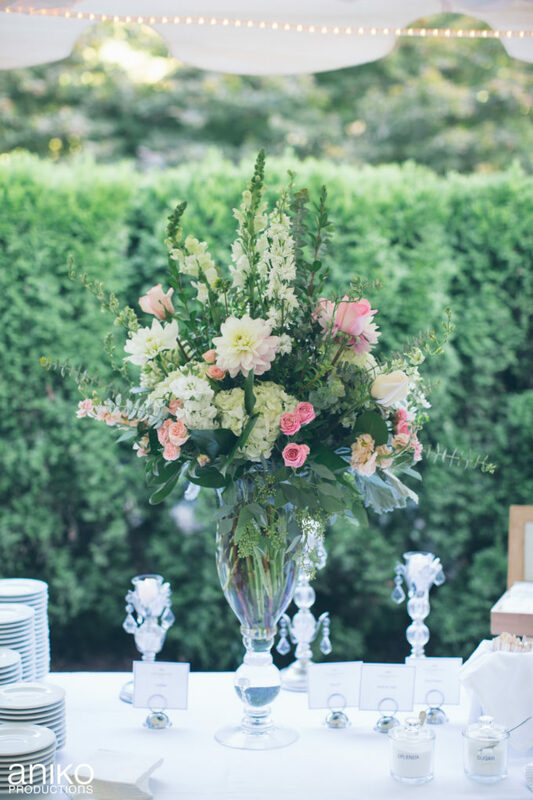 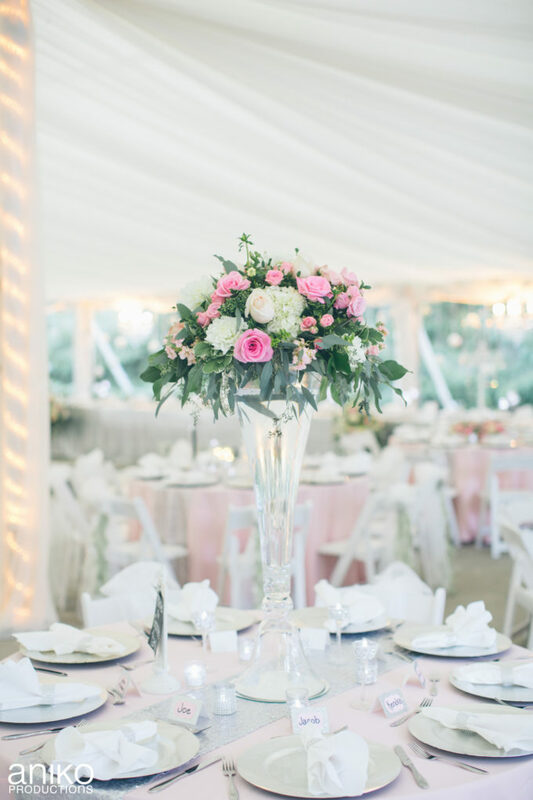 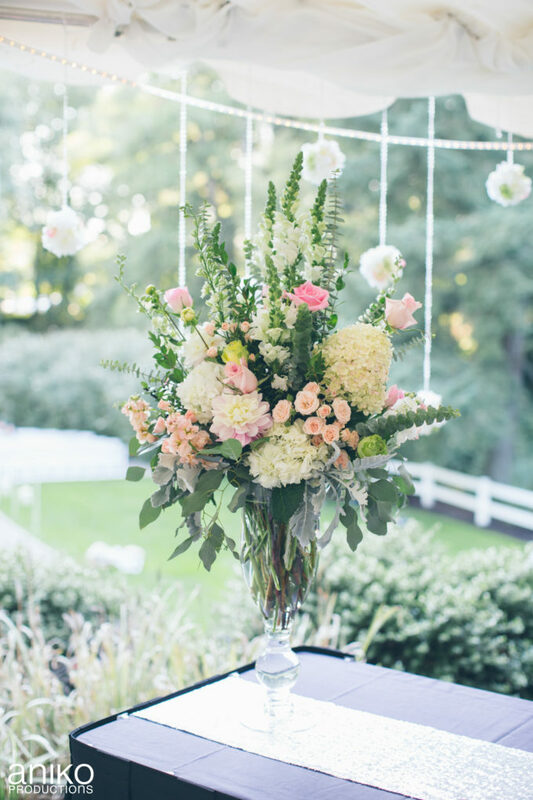 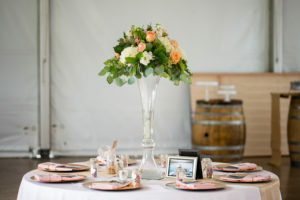 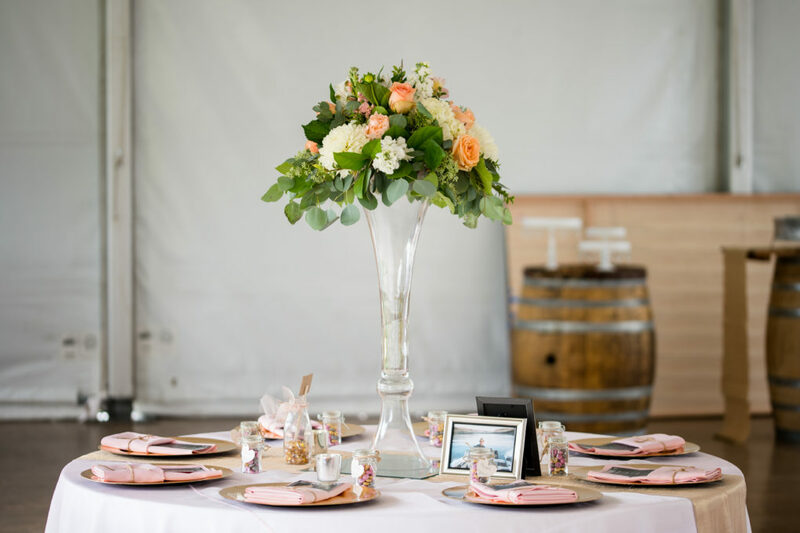 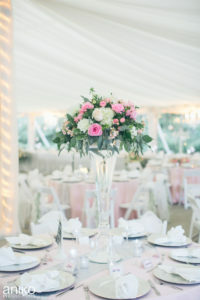 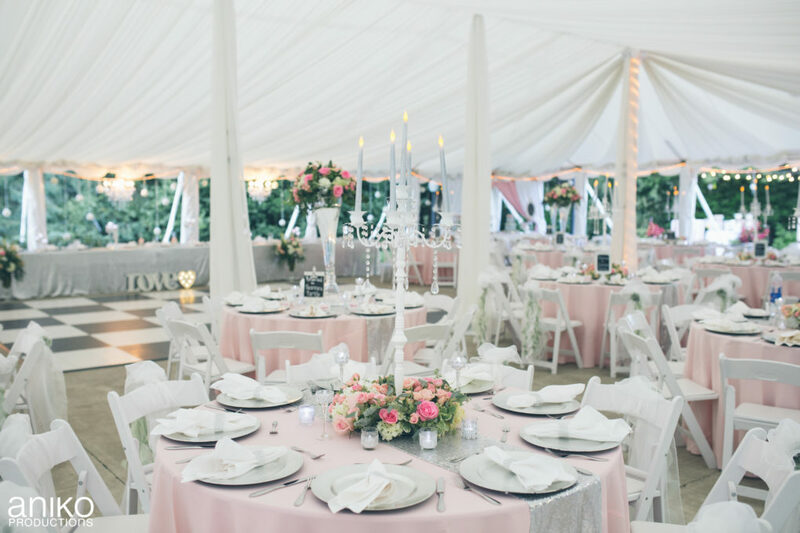 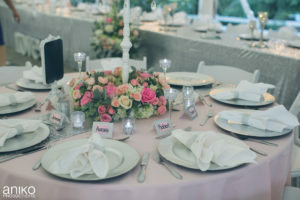 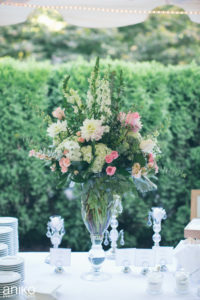 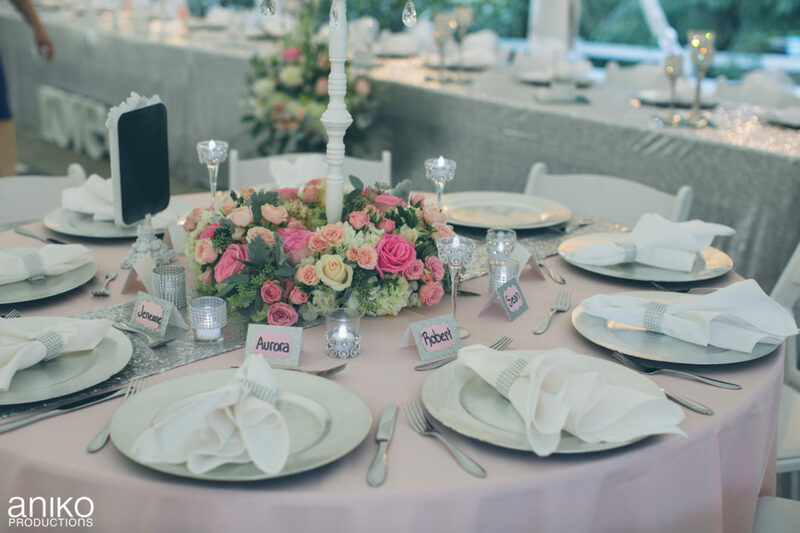 Jeanne chose to do use a very romantic color palette for her floral arrangements using blush, soft pink, champagne and green. 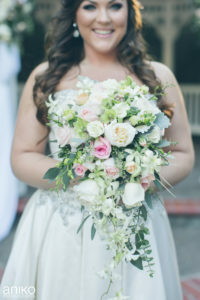 Her bouquet was breathtaking. 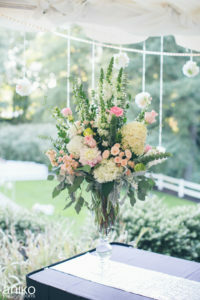 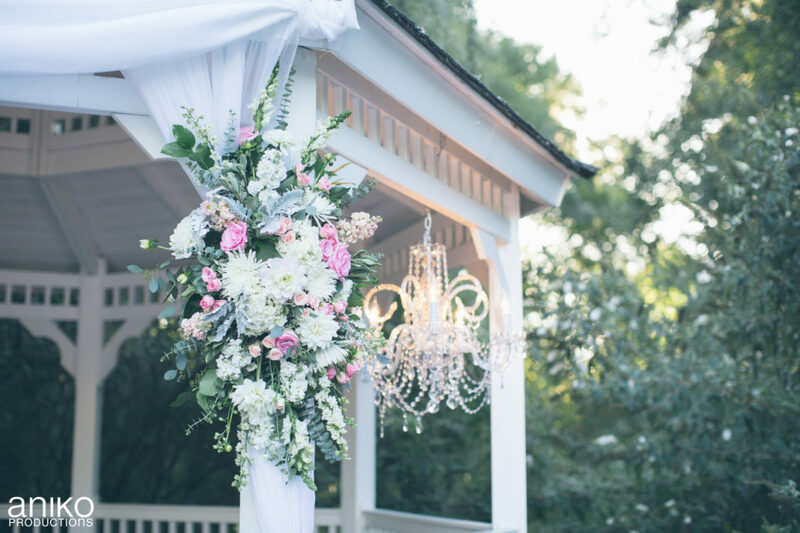 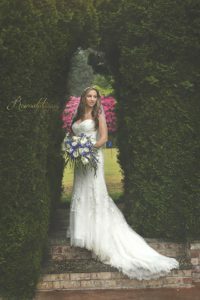 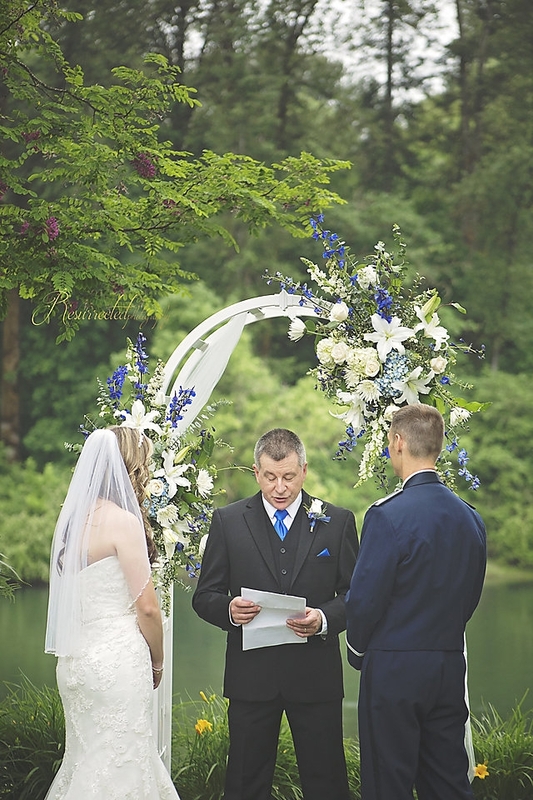 Garden roses, orchids, spray roses and others in a gorgeous and romantic cascading style. And her topper centerpieces were stunning with the high ceiling tent and candelabra arrangements. 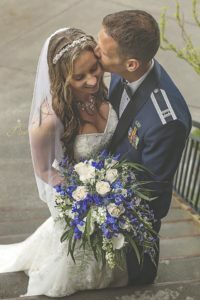 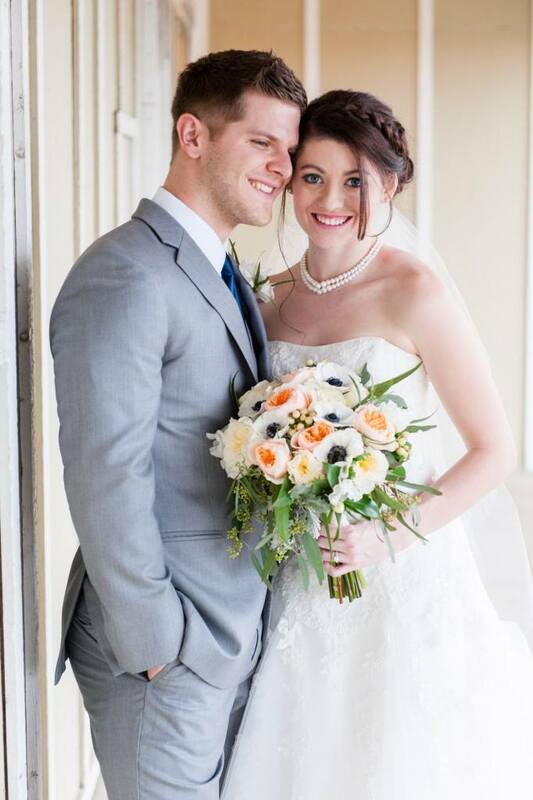 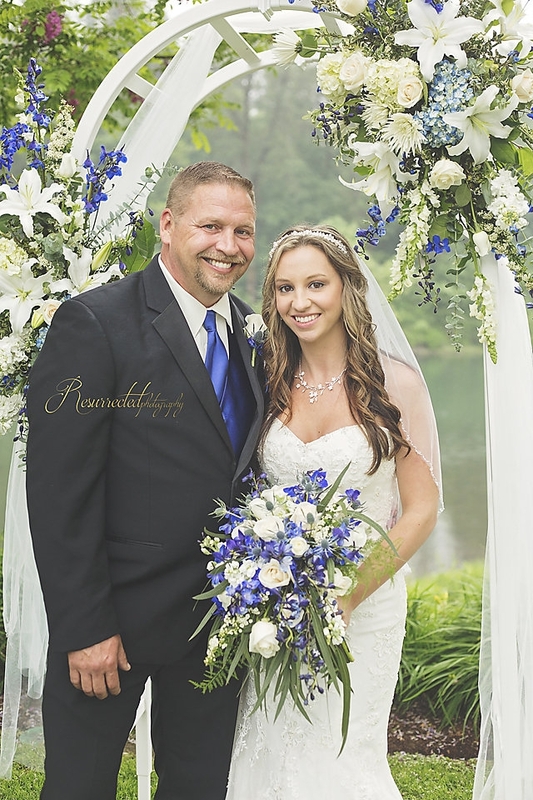 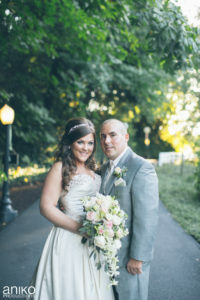 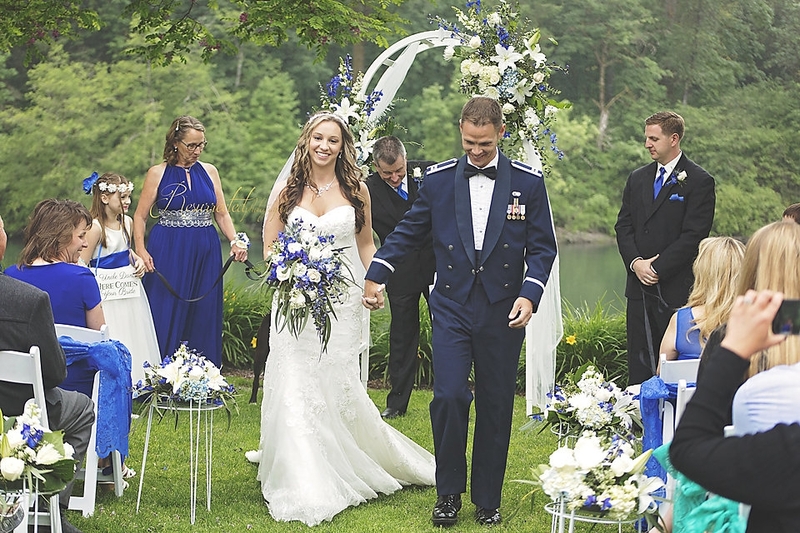 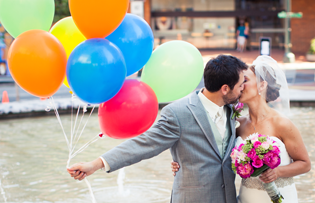 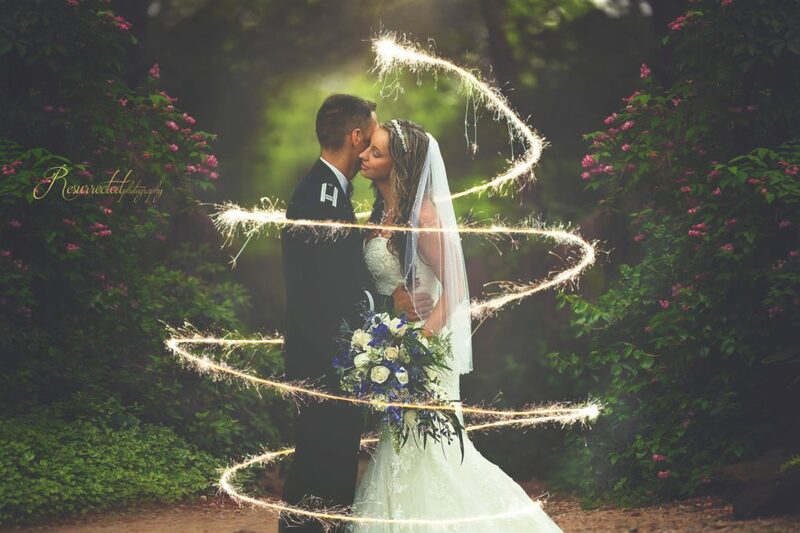 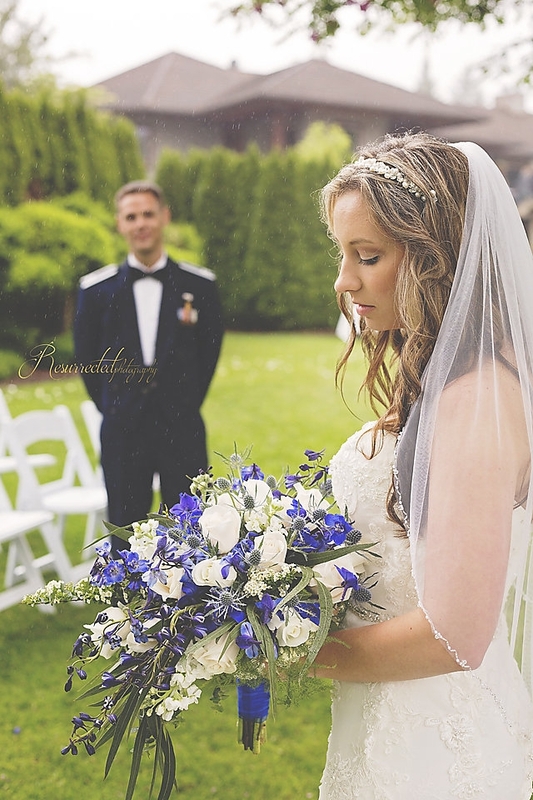 We truly loved working with this sweet couple and wish them all the best!